DAYTONA BEACH, Fla. (June 4, 2013) – Penalties have been handed down to the No. 2 NASCAR Sprint Cup Series team following last Sunday’s race at Dover International Speedway. The No. 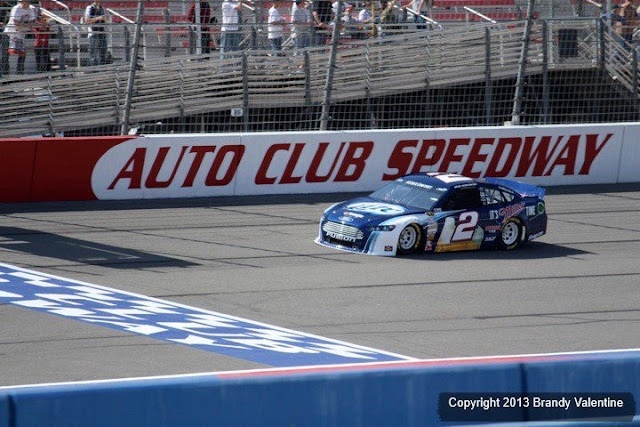 2 car was found to have violated Sections 12-1 (actions detrimental to stock car racing); 12-4J (any determination by NASCAR officials that the race equipment used in the event does not conform to NASCAR rules); and 20-12.8.1B (the car failed to meet the minimum front car heights during post-race inspection) of the 2013 rule book. As a result of this violation, crew chief Paul Wolfe has been fined $25,000 and will remain on NASCAR probation until Dec. 31. The team has also been docked six championship driver (Brad Keselowski) and six championship car owner (Roger Penske) points.